Our pets age faster than we do. Because of this, they should be examined by a veterinarian every six to 12 months and undergo routine blood and urine screening. Detecting disease before it is clinically apparent enables us to more effectively treat your pet. 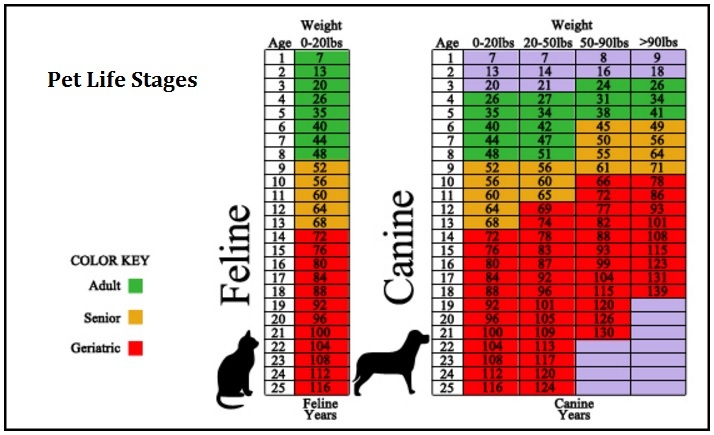 Use the age chart below to find the screening recommendations for each stage of your pet's life. These are approximations and may vary by species and breed. If your pet has specific health issues or concerns, additional testing may be recommended.